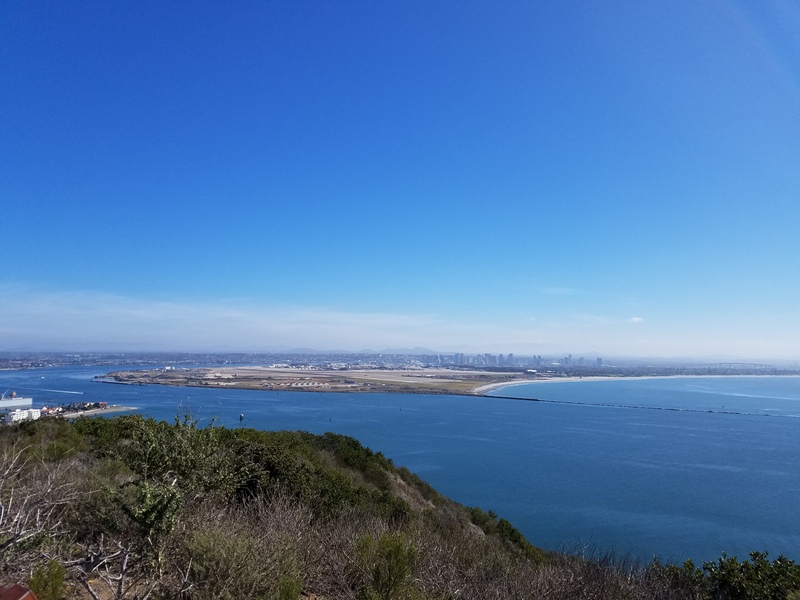 I’ve rounded up ten places you won’t want to miss if you visit this National Park in San Diego, California. Be sure to visit the park’s website to check for special events and advisories and if an area mentioned in this post is closed, please be sensible and don’t try to enter! (That’s speaking as a volunteer who watches out for visitor safety…) I’ve tried to arrange these locations in an order that makes sense if you headed directly to the lighthouse to start exploring, but don’t neglect the visitor center to get a map! Built in 1854 and first lit in 1855, Old Point Loma Lighthouse sits 422 feet above sea level, originally marking the entrance to San Diego Bay. Inside the structure, you’ll find the parlor, kitchen, winding spiral staircase, children’s bedroom, keeper’s room, watchroom, and (usually un-accessible) the lantern where the Fresnel Lens sat. The lighthouse has been restored to an 1880’s appearance. Don’t miss the museum displays and third and fifth-order Fresnel lenses inside the assistant keeper’s quarters. And – just in case you’re wondering – Old Point Loma Lighthouse is not the lighthouse in my historic novel. That’s a fictional creation (based on historical floorplans) and in a slightly fictionalized setting along Long Island Sound. However, it was really neat to explore Old Point Loma Lighthouse which was built on one of the blue-print plans for lighthouses developed by the U.S. Lighthouse Board in the 1850’s, but – nope – it’s not even the floorplan used in Lighthouse Loyalty. A paved pathway leads around the point beyond the lighthouse, overlooking the sparkling Pacific Ocean. Don’t miss the grey whale and kelp strand etched into the pavement – it’s a great way to see how large these Pacific wonders are. If you visit in January or February, there’s a chance you might see a grey whale on a migratory journey to or from Mexico. But even if you don’t see a whale, the view is spectacular! 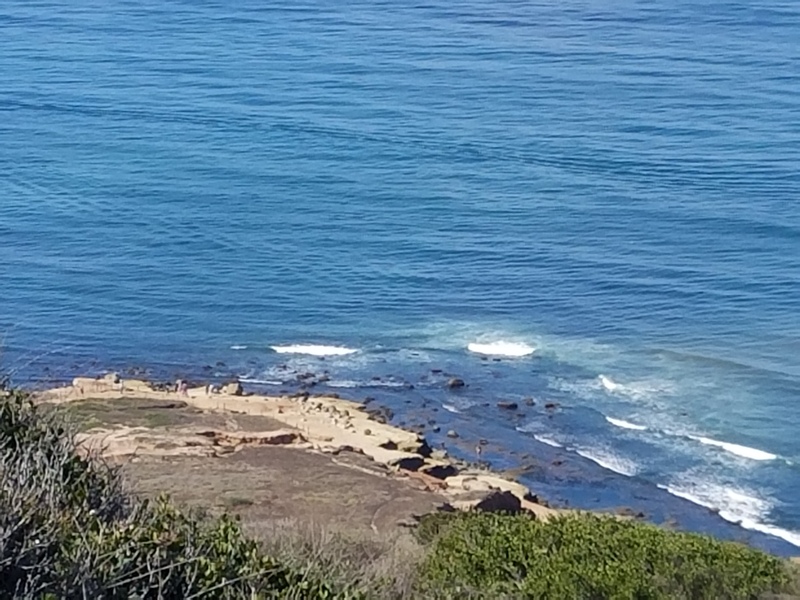 If you walk out to the Kelp Forest Overlook, you’ll find a short sloping path. Take it and you’ll find an up-close view of the exterior of a World War II era bunker. 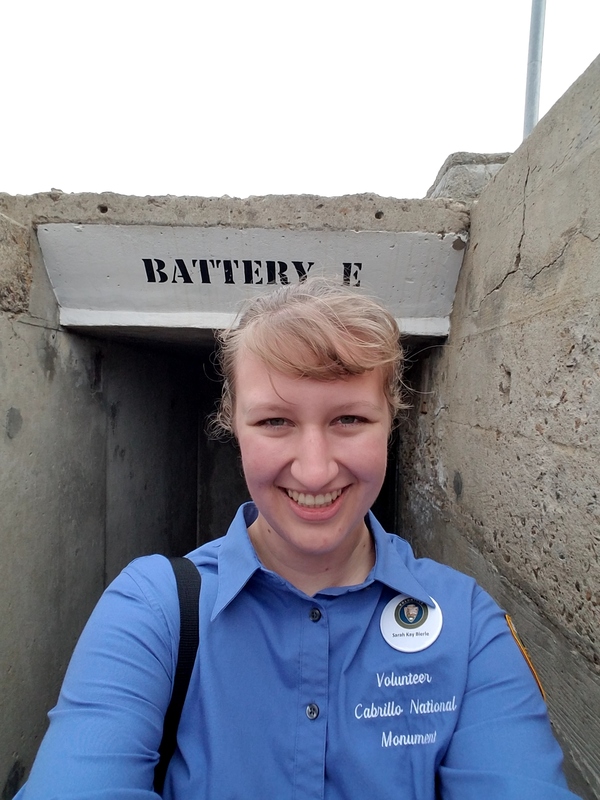 Built by the U.S. Army as part of the Pacific Coast Defenses, these bunkers are part of the many chapters of history preserved in this national park. If you walk along the cliffs (see #4), you’ll see the entrances to more bunkers. And if you’re visiting on a lucky day, the bunkers might be open for further exploration! 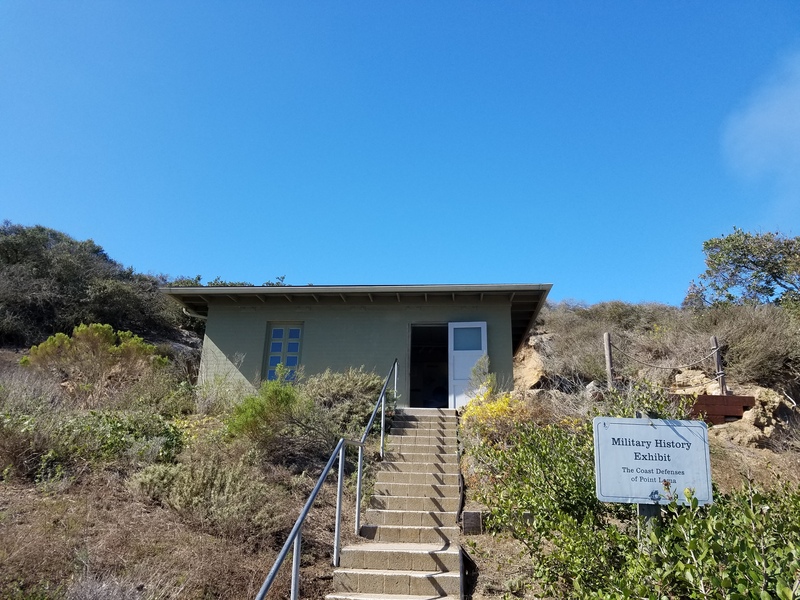 You’ll find the indoor military history exhibit by following signs from the main path or as the stairsteps end on the descent form the cliffs. Step inside and learn about San Diego’s military traditions, defenses during World War II, the huge guns installed at Point Loma, and some of the modern military bases in the area. 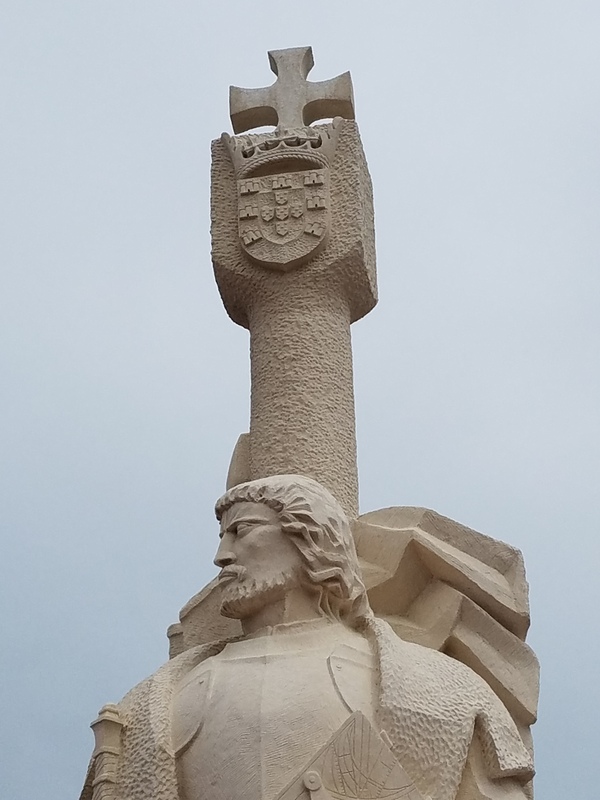 Not far from the Visitor Center stands a tall, carved image of Juan Cabrillo. In 1542, Cabrillo lead an expedition to explore the mysterious California coast and claim the region (800 miles of coastline) for Spain. He described San Diego Bay as “a closed and very good port” and actually named the place San Miguel. We know Cabrillo and his ships stayed six days in the harbor, waiting for a storm to pass, then continued their voyage northward. Months later, in January 1543, Cabrillo died and his crew continued the voyage. 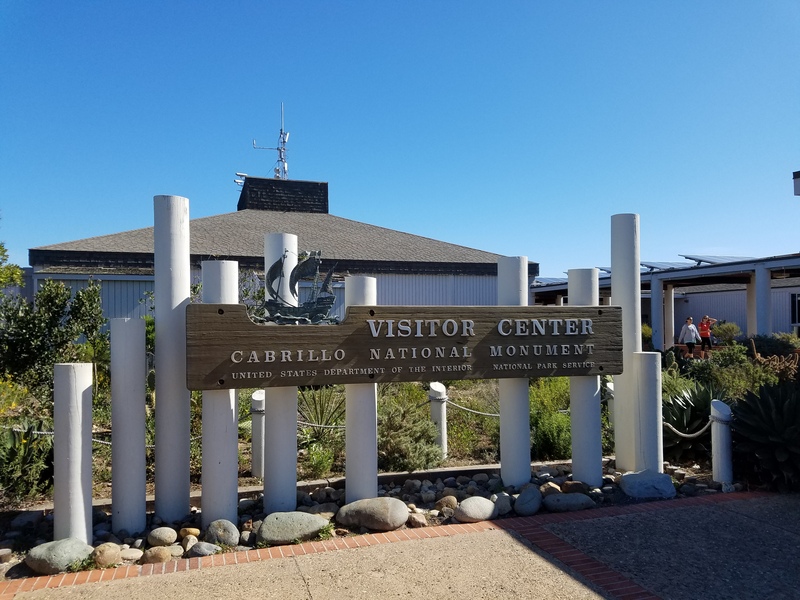 While many details of Cabrillo’s life are mysterious, the National Park celebrates his role as “the first European to set foot on the west coast of what is now the United States” and remembers the voyage as a closure to Spain’s first great era of exploration. The walkways around the Visitor Center offer wonderful views of San Diego’s harbor and skyline. Watch for military aircraft, too, from Coronado Island! 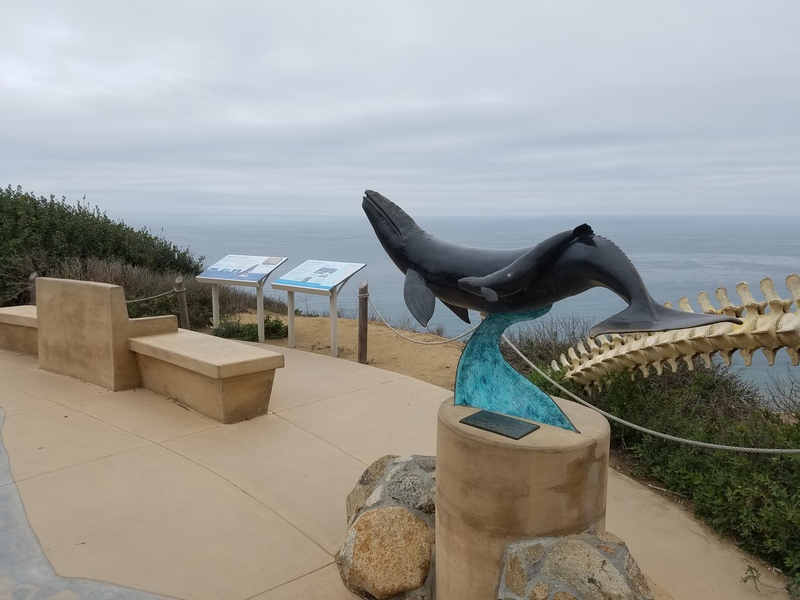 Although it’s usually sunny in California, I have spent some foggy and rainy days on the Point and if that’s the case, come for a second visit when the weather clears. I really think it’s the best of San Diego – worth a million dollars? The auditorium in the Visitor Center complex offers a variety of documentary films throughout the day. As I’m writing this, current offerings include films about Cabrillo, the tidepools, and grey whale migration. It’s a nice way to learn more about the history or wildlife in the area and get out of the cold wind or hot sun for a few minutes. Check for show times on the signs or inquire at the Visitor Center desk. Tidepools! Who doesn’t love the idea of learning about and finding tiny little creatures who live at the edge of the shore and the tides that create their special home? Some of the best preserved, living tidepools along the California coast are here; however, the tidepools at Cabrillo National Monument aren’t always accessible due to the tide patterns. P.S. 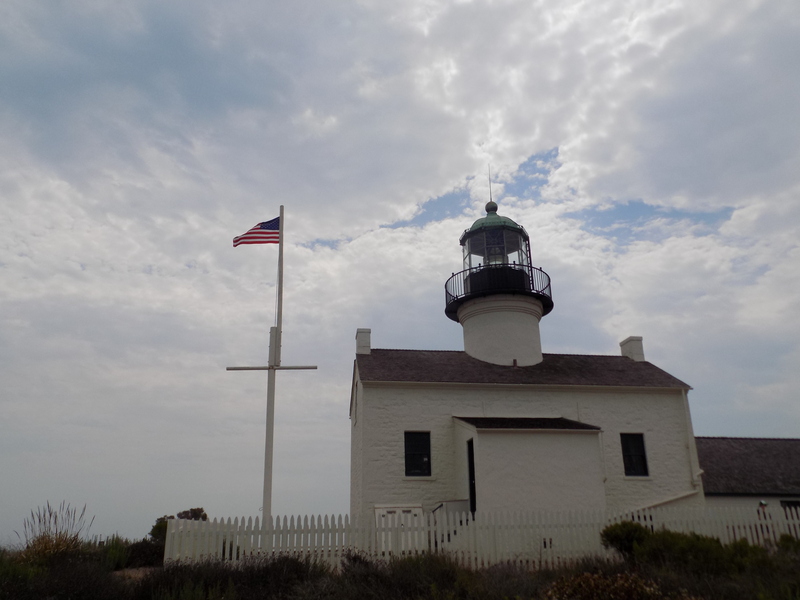 Have you visited Cabrillo National Monument? What was your favorite place in the park?